Discussion in 'British Beasts: Triumph Tigers' started by limeymike, Mar 28, 2018. Coventry UK & South Dakota. MCN reporting that a new scrambler is coming using the 1200 twin. Sweeeeeet! Ohlins suspension, 21" front wheel, tubeless spoked rims. Nice. I want. Bugchewer and Scepisle like this. victor441 and NateLePain like this. About time. Surely it needs 7-8" of travel. Low or high fender option. And just say no to flat brat seats - they are the ugliest homemade looking seats around. And 76 hp 78 tq or 96 hp 83 tq - what version 1200 motor will it show up with? And how heavy will Triumph make it - I'll bet they can't keep it under 500 lbs. The potential is there though! smolt and Goat_locker like this. Like the flat seat and apparent tubeless spoked wheels, looks like it would work well for real world riding where I live plus 75hp is ideal for me...hope this lives up to expectations and Triumph can keep the weight down. My gut tells me that the Scrambler 1200 will be my next motorcycle. twinrider and johnwesley like this. Been waiting a long time for this. I already put some money down at the local shop. jamboa, davenoseyparker, Maxacceleration and 1 other person like this. Maxacceleration and Goat_locker like this. Goat_locker and Trip Hammer like this. That’s probably more like it. And really a street bike with Scrambler cues. I’m o.k. with that. I’d like a flattrack looking bike with mag wheels and a 3/4 seat + cowl. WNY hills of Wyoming County, maple syrup & cheese! I just sold my Tiger 800 Roadie and I am going out to ride a T120 today BUT if I had any patience I would wait until this comes out. I am sure it will be $15,000+ though. Lol ended up buying a used F650GS and loving it. Such as H-D is coming in late with a adv bike (not discounting the Buell Ulysses), so is Triumph coming in late with a competitive Scrambler. 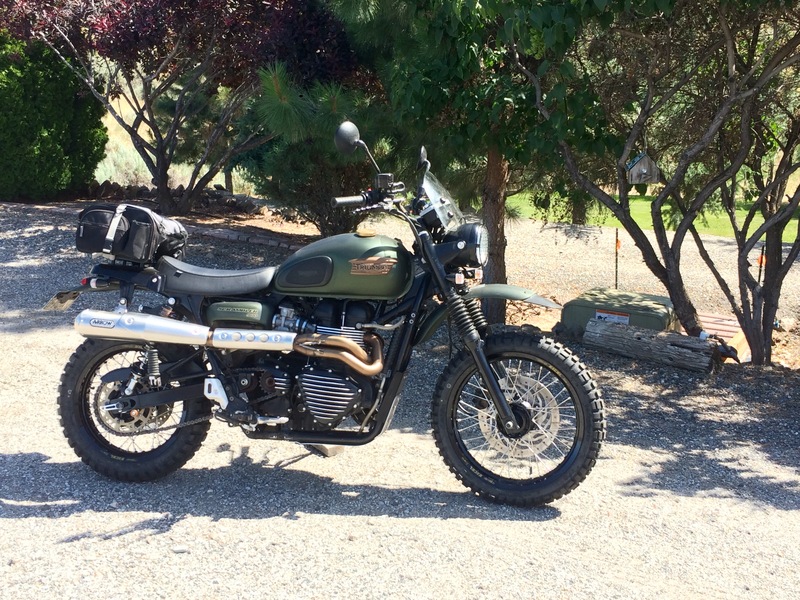 Triumph has sat on the Scrambler name and squandered time, reputation, and sales by going the route they have. The Ducati Scrambler Desert Sled is the new scrambler. 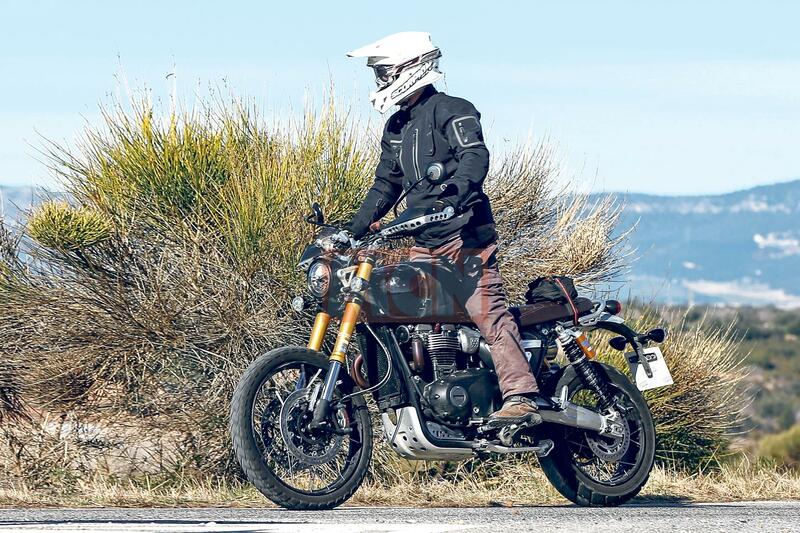 Hopefully Triumph is for real enough for a good modern day retro Scrambler, with good looks, suspension and the ability to carry two bags/panniers. 10/24 we'll know more. I have other bikes to ride... but still sitting on my old 2010 Scrambler. Always been a... good bike. davenoseyparker, Peke, YJake and 2 others like this. BTW, let me design the saddle. Two of them.